Lakeland, Florida – More and more consumers, looking for a quick, affordable path to home ownership, are discovering the benefits of factory-built homes. Falling in love with the carefree lifestyle, the energy savings or the visual appeal and livability of these modern durable dwellings is easy – figuring how to buy one seems to be the challenge for some. Recent federal regulations implemented in the wake of the housing melt-down have made it more difficult to get information, effectively silencing the people who know the most about factory-built homes and how to finance them: the retailers and communities who sell them. 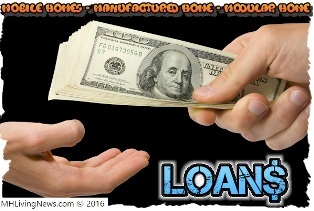 “Even if the seller knows a lot about lending, unless they hold an MLO (mortgage loan originator) license, they may not be able to give you a lot of guidance beyond handing you brochures or pointing to a list names of the lenders in your area that make manufactured home loans,” says Tony Kovach, publisher of the leading MH trade publication, MHLivingNews. But knowledge is power and Kovach offers a useful primer on the differences between the types of factory-built homes, how to finance them and where to find a lender. Is it a manufactured home? A mobile home? A modular? Do you own or lease the land it’s on? These things matter when it comes to financing. Many bankers have limited experience in manufactured home lending and will often shy away from what they don’t know, Kovach says. Prospective buyers will discover that finding the right lender will pay dividends for many years to come. According to a report by the Government Accounting Office (GAO), manufactured home payments are routinely the lowest cost housing. Even when some two-thirds of manufactured home loans are personal property loans that have a higher interest rate or shorter term, the payments on manufactured homes are still often much lower than rent or other housing options.